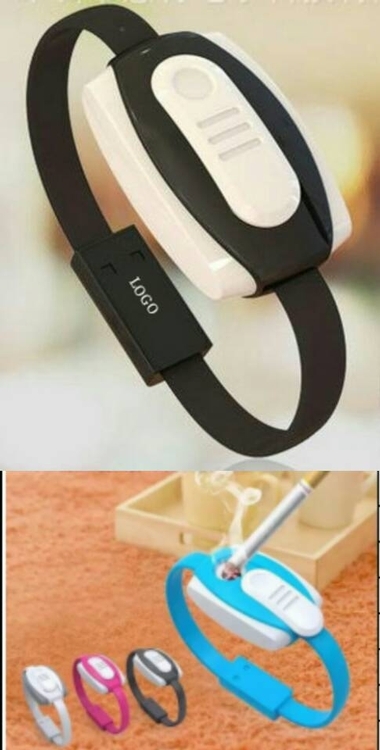 Wristband USB cable with cigar lighter is made of ABS & TPE with battery which can light 200-500 cigars, can charge phone in emergency situation for 15 mins. Environmental protected and great choice for promotion & gift. Imprint Size: 1.5" x 0.5"
Package: 1 pc/poly bag, 100 pcs/ctn, 7.7 lbs/ctn.